Google’s Chromecast is a fantastic device. When connected correctly, Chromecast allows you to stream videos over your wireless connection. So instead of watching Netflix, YoutTube, or any web content on your ipad, mobile phone or laptop, you can broadcast it to your large flatscreen television that’s connected to the Chromecast. All that is required is a wireless connection and a HDMI port. For the most part, the streaming device works well and any interruption, buffering or speediness issues is likely due to your internet provider. Not bad for $35. Despite Chromecast’s awesomeness with seamless streaming with HBOGo, Pandora, VEVO, Hulu, and other well-known apps, it struggles playing videos that have been downloaded onto the computer or laptop’s local hard drive. If you’ve opened your Chrome broswer, pressed “Control” + “O” to open your own video, and tried to play it via the Chrome browser, then you’ve likely joined the thousands that have experienced similar frustration with the default functionality. Since purchasing my Chromecast, I’ve had a very low success rate in playing video through my Chrome browser. In the out-of-the-box method suggested by Google, my own videos have broadcast with delays, extreme choppiness, sometimes without sound, and so slow that you’d think you’re streaming video in the dial-up days. All this is with my settings at the lowest video resolution (480). Finally, I decided to search for an alternative to Chromecast’s solution (yes, I know it’s beta). I quickly came across Videostream for Google Chromecast (getvideostream.com), and multiple sites vouching for the app. After installing Videostream to my Chrome browser, I opened a video and off I went; I was able to watch videos via Chrome without any problems. No delays. No frozen frames. No choppiness. And no more stress wondering if the video would play or not. Videostream was nothing but smooth video streamed from laptop to my TV. 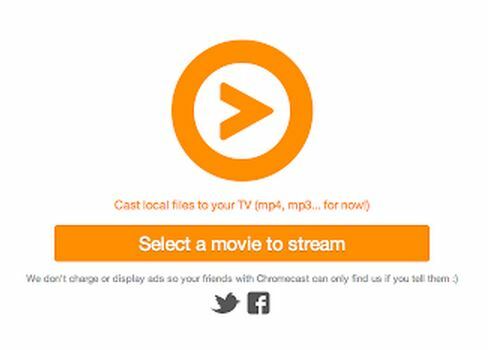 Just as Videostream says in one of their screens (going off memory) “Videostream allows the Chromecast to do what it should be doing.” So if you’re unable to watch videos on Chrome, then download the Videostream extension. The web app works seamlessly to allow Chrome to play video in browser without the delays or choppiness with the default method. It’s Popcorn Time! (Shhhh… watch TV and movies for free) How to force Chromecast to recognize video files on your Android phone How do I earn money from Google Consumer Surveys (and how do I get paid)?